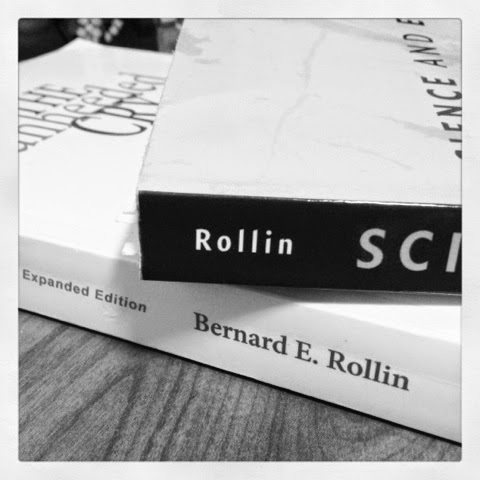 Dr. Rollin is a philosopher who implemented many of the current regulations for care of laboratory animals. As a scientist getting an advanced degree, I encounter animal studies often. For years, they have made me sad and I tried to ignore them to read the papers and learn the science. Dr. Rollin talked to one of my classes last year about this very subject, causing me to sign up for his class this semester. I was hoping his class would help me come to terms with the use of animals in research. It didn't. It made me resolve to never participate in such things. More over, I hope to get to a position in my career that will allow me to help further his cause. That's why I chose him for this photo challenge.